At Elk Horn Lutheran Church, we want your wedding to be special. We would love to help you create a service which is both meaningful and personal to you. The first thing, before you book anything else, is to make sure that Pastor Keith and our church is available on the date you wish to have your wedding. The most convenient way to do this is to fill our your Wedding Request here and submitting it to us. Pastor Keith will follow up with you once he receives your form. A church wedding is a service of worship, asking Christ’s blessing upon your marriage and new life together. It is a spiritual service of the church, in which the pastor and congregation unites in prayer with you and share in your joy. It's also a legal act in which the pastor acts as an official of the state. The regulations, guidelines and rules for a wedding are those of the church and the state. The music, the vows and the service approved by the Lutheran Church and the congregation. The criteria for selection of service and flowers, and placement of bridal party shall be the centrality of the cross of Jesus Christ. 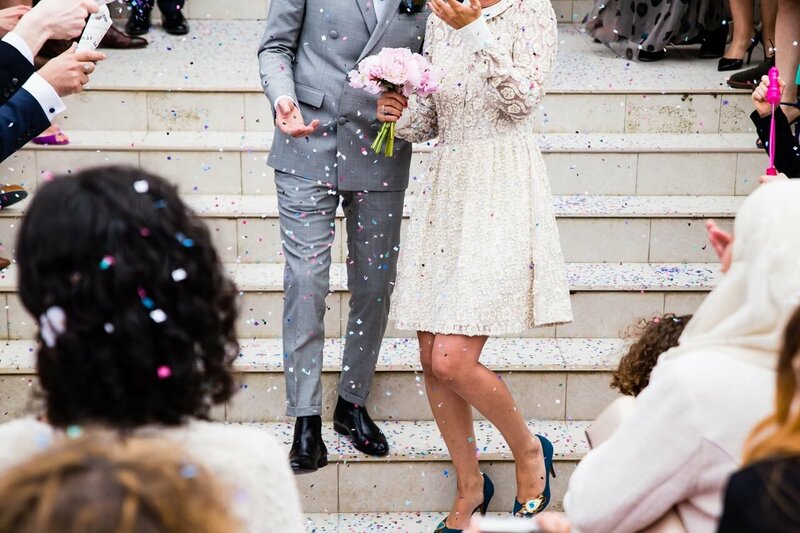 We want your wedding to be a sacred and holy, as well as joyous service that communicates the love of God’s Christ and his blessings before you and yours! Pre-marriage interview. The Pastor will want to meet with you and your intended three or more times (as needed) for about an hour a session. Every effort will be made to find mutually agreeable times, so flexibility helpful. The church receives many requests from individuals outside the congregation. Although we see it as an opportunity to minister to each couple, the time and expense can become a burden. Therefore, the following guidelines have been approved by the council. All expenses related to your wedding at our church will be borne by the contracting parties. The following honorariums are required unless otherwise noted. Contact the church secretary for payment.